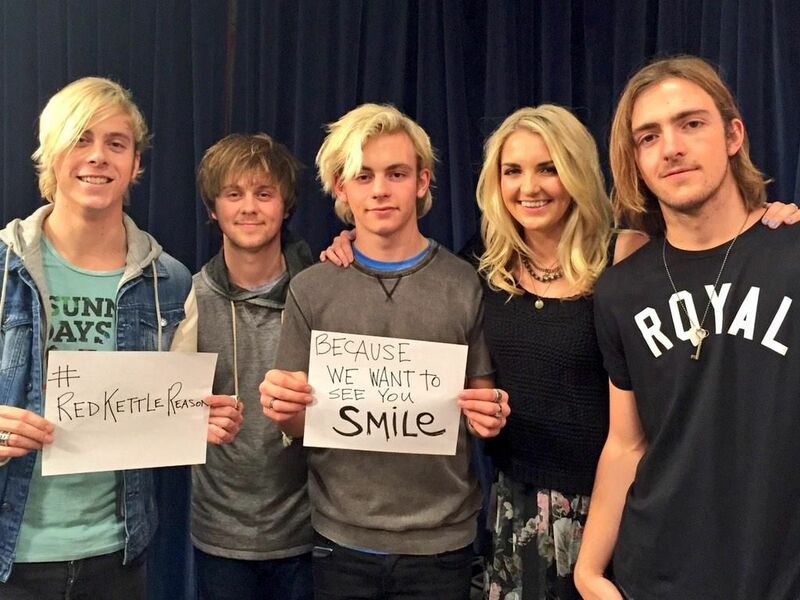 Catch R5 perform at the Rock The Red Kettle Event for the Salvation Army at LA Live! in Los Angeles, CA on Saturday, December 6th! The free concert will also have Becky G, Shawn Mendes, Bea Miller, Josh Levi, and Exist Elsewhere perform to benefit the Salvation Army's red kettle initiatives for the holidays. To learn more and to request your free tickets, please click here. Listen to the premiere of R5's newest single titled "Smile" this coming Friday, November 14th at 7pm ET / 4pm PT only on Radio Disney! Yesterday, each member of the band posted Instagram videos with lyrics to the song, teasing to the official announcement of the premiere for the song made today. Teen Vogue will also premiere the music video for the new single this Friday at 4:30pm PT. The single will then be available everywhere at 9pm PT. Who's excited? Will you be listening? 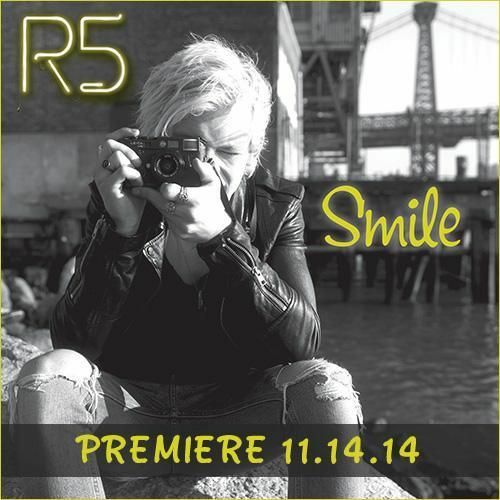 Tune in to your local Radio Disney station, or listen online at RadioDisney.com to hear the new song! A very special and happy 23rd birthday to the captain of the ship himself, the one and only Riker Lynch! You are a hard working, talented, and ambitious person with a friendly and outgoing personality. May you have a wonderful and safe birthday filled with lots of love with many more to come! Time to make a new wish because you no longer have to wish you were 23! R5 has officially confirmed that they will be performing at the 2014 American Music Awards pre-show! The pre-show and the awards show will air on Sunday, November 23rd on ABC and the pre-show will also stream Live on Yahoo! Live starting at 5pm ET. How exciting! Will you be tuning in? To learn more about the pre-show event, please click here. A very happy 20th birthday to the one and only Rocky Lynch! You are a hard working, talented person with a big heart and creative personality. May you have a wonderful and safe birthday filled with lots of love and memories with many more to come! Unfortunately, R5's show at The Fillmore in Silver Spring, MD on November 24th has been cancelled due to a scheduling conflict. 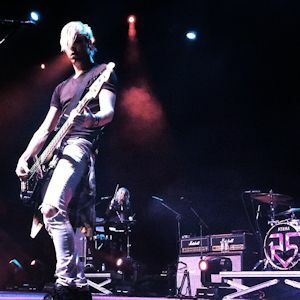 R5 promises to make plans to make it back to The Fillmore Silver Spring soon, but in the meantime refunds are available at point of purchase. We apologize for the inconvenience and thank you for your understanding and for sticking with us!